People in Idaho are walking through their future homes before the walls go up. "It's like you're really there cooking in your kitchen walking to the fridge back to the sink," said the owner of Draftech Brendan Smythe. Incorporating virtual reality into the mix can mean big bucks saved for homebuyers. There's a big demand in Idaho's Treasure Valley home market. According to data, nearly a quarter of sales are of new homes, and the cost of land and construction is rising. Some builders say nearly $20,000-30,000 can be saved by making changes before the fieldwork begins. "The changes and modifications they know they would've made out in the field they can make them a lot sooner, earlier on, more cost-effective up front," Smythe said. Draftech is an architecture design firm in the Treasure Valley taking their 2D drawings and blueprints and bringing them to life. "You have your husband or your wife right next to you in the kitchen you get a sense of size and space," said Smythe. VR also helps all hands on deck save money and time. 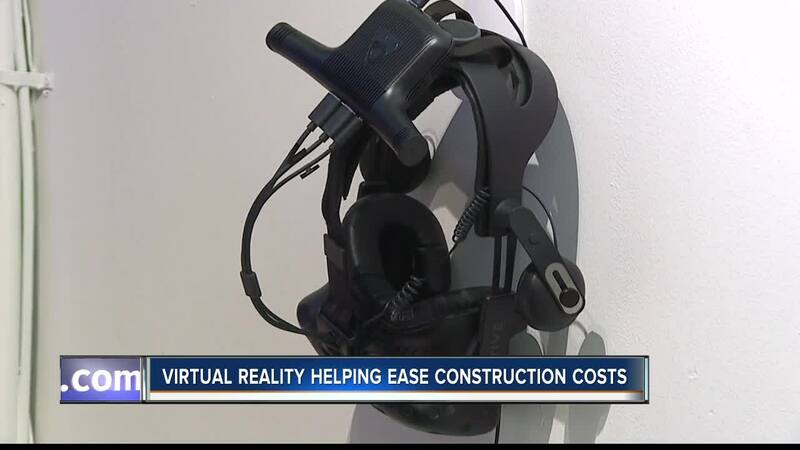 "It saves all parties time because when you're making those changes to real estate properties or buildings while they're being built that can extend your timeline, so it can be extremely costly," said Annie Morley, the president of the Idaho Virtual Reality Council. Interior designers are also included in the VR equation so that clients can make change to surfaces and colors of their floors and cabinets inside their home with local materials readily available. "In a few years I guarantee there won't be a single home designed without virtual reality," Smythe said.